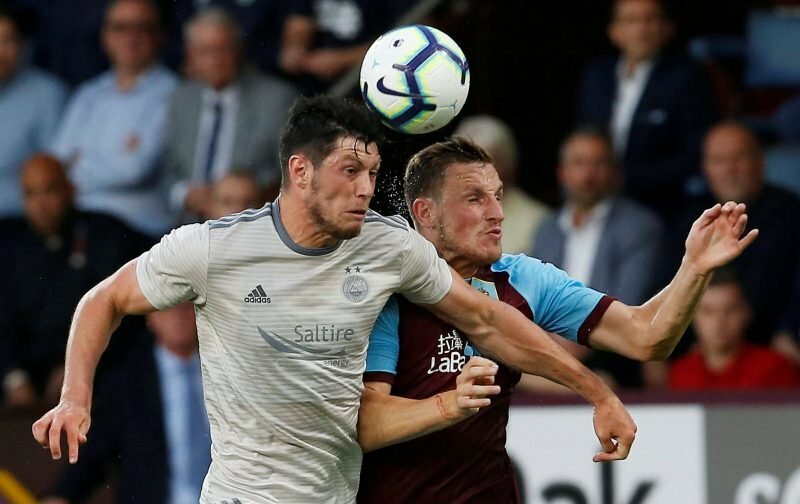 Celtic are preparing a £2.5m bid for Aberdeen defender Scott McKenna. The defender faces another month on the sidelines with a hamstring injury but that hasn’t dampened Celtic’s interest in the 21-year-old. McKenna enjoyed a meteoric rise last season that saw him pick up four Scotland caps not long after struggling to get a game while on loan at Ayr United. Celtic have been dogged by defensive problems since the start of the season with Jozo Simunovic and Kris Ajer picking up UEFA suspensions while the situation with Dedryck Boyata left Brendan Rodgers short of options for the matches against AEK Athens. Although it appears that a compromise has been struck with Boyata it’s believed that all parties are still working to get a transfer completed before the end of the month. Aberdeen put McKenna on a five year contract in March but can’t compete with the sort of salary on offer at Celtic or Swansea who have also expressed interest in the defender. Despite their fierce rivalry on the park Celtic and Aberdeen have been involved in deals involving Jonny Hayes and Ryan Christie in recent seasons. Celtic could offer the Dons a number of players on loan but Derek McInnes will be looking to bring in a central defender if he has to lose McKenna who has come through the ranks at Pittodrie.